After detective Seo Do Chul’s (Hwang Jung Min) friend tries to kill himself over late wages from the Sun Jin group, he begins to investigate the incident and the chaebol heir to the company. Jo Tae Oh (Yoo Ah In) is a violent hot head, who doesn’t take kindly to people trying to stand in his way. Seo Do Chul sets his aim and starts pursuing Tae Oh. I watched this movie originally not because of Yoo Ah In (although he was a big plus) but because it was highly recommended to me. Now, for being third highest grossing film in Korea’s film history plus the lines from this movie being copied elsewhere and the praise I heard of this movie before, I was disappointed. 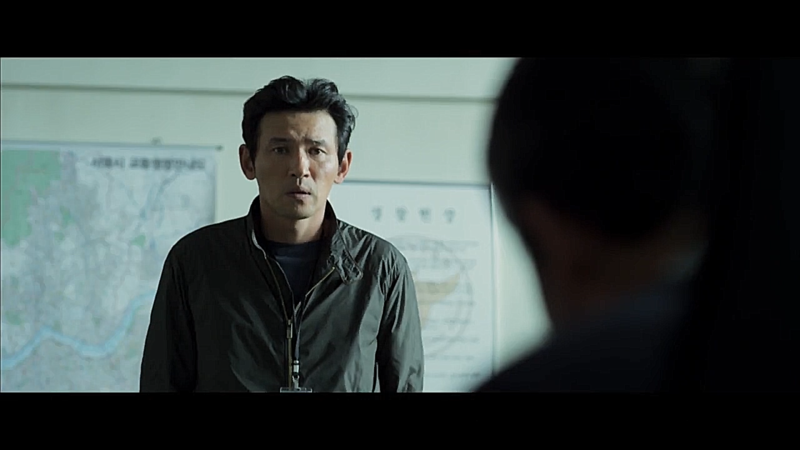 The movie’s plot is not anything that we have not seen before: a detective diligently goes after a corrupt, evil chaebol who has so far escaped justice. Seo Do Cheol’s character was a pain to watch for me: he was forceful and a textbook police officer. From what I can gather, the only reason this movie became such a “hit” was due to Yoo Ah In and his character. To be honest, I have seen better violent chaebol depictions but well, he’s Yoo Ah In so let’s forgive him. All things considered I don’t understand the buzz around this movie. It’s typical and predictable. The best scenes of this movie were all about Yoo Ah In and his crazy character.